Some say that parenthood is one of the most amazing milestones in one’s life and it is of utmost importance that every detail should be scrutinized and looked into. Every parent wants the very best for their newborn but, sometimes, new parents are at a loss about what crib to buy. Poorly built cribs have been known to collapse unexpectedly, even with the lightest pressure placed on the joints and hinges. This has resulted in more than enough infant deaths. Adjustable mattresses come with straps and strings that help secure it into place which can wrap around your newborn and will lead to strangulation and suffocation if not properly hidden. Wooden cribs are making a slight comeback but one of the reasons why they were being phased out is the rising occurrence of splinters. While the wooden materials are sanded down and polished, only a little force is needed to rip some fibers from one of the slats and injure your baby. 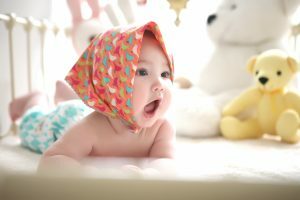 Babies love to explore their surroundings and you would often see them roaming around their cribs, pulling at strings and trying to climb over and get out. Cribs come with railings to prevent accidental falling but some contraptions are too flimsy, and require only a small amount of force to fold; it can even crush your baby’s fingers! There are possibly hundreds of designs available in the market right now and it is daunting, for new parents and veterans alike, to choose just one. Some even buy several cribs just to see which fits their new lifestyle better. But this is not cost-efficient and produces a lot of waste. Here are some things that can help you in deciding what crib to buy for your bundle of joy. 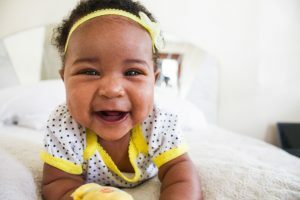 Cribs are vital especially for first-born children because, chances are, they will pass it down to the sibling that comes after them and so on. Most stores would let you try standing inside the crib to test if the crib is strong enough for your needs. Majority of cribs adapt well to a growing child with mattresses with adjustable straps; even the side walls can be adjustable too! 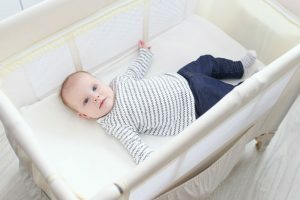 An excellent crib has gone through a rigorous quality assurance process but it would not hurt if you would give the crib a vigorous shake just to make sure that it is properly assembled and would not collapse easily. The materials used also play a factor in knowing what crib to buy. Cribs made of synthetic material like hard plastic and carbon fiber may last longer but they tend to be more bulky and take up more space even if folded. Cribs of natural material, on the other hand, are less flexible and more susceptible to wear and tear, if not treated correctly. 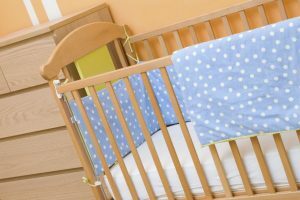 The side walls of a crib are probably the most important feature as these walls prevent your child from going beyond the boundaries of protection. Screens allow air to pass and allow better visibility, while slats can have blind spots and a misplaced slat can result in choking. Babies don’t need much when it comes to bedding, just a rubber mat under their bottoms and tightly fitted sheet. Mattresses, however, are a different matter. Generally, foam mattresses are better than innerspring ones for obvious reasons. Modern cribs have additional features like diaper changers, bassinettes, mosquito nets and built-in mobiles. Majority of manufacturers now offer after-sales service, complete with warranties and on-site technicians that are more than willing to help you assemble your newly purchased crib. 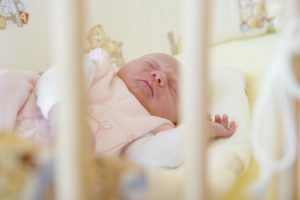 The lowdown of knowing what crib to buy is that you are fully aware of what will protect your newborn while you are erstwhile unavailable. Think of cribs as an investment that will benefit you for a life.